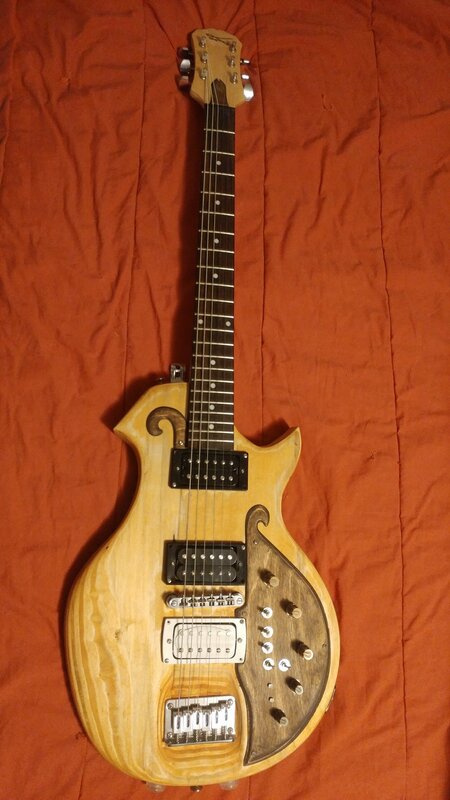 This is a guitar that I have been planning on building for a few years now. Its base parts came from an old Epiphone Les Paul Special II that I was able to pick up for 40 bucks from a pawn shop. 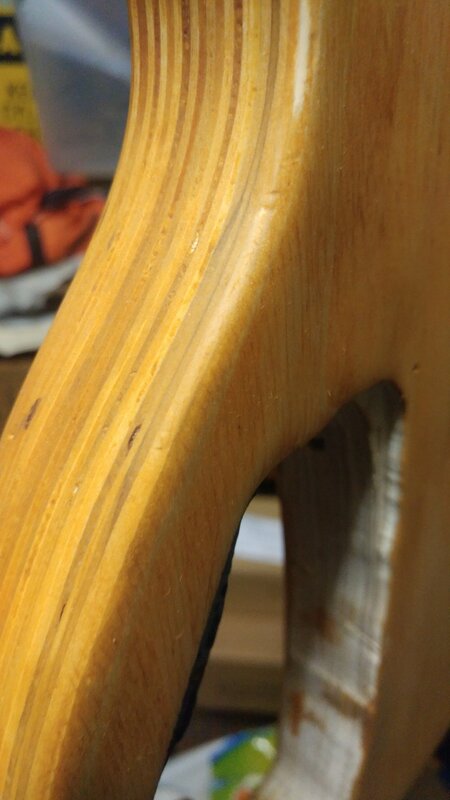 It was not in good condition but the neck is straight and that was my main concern. 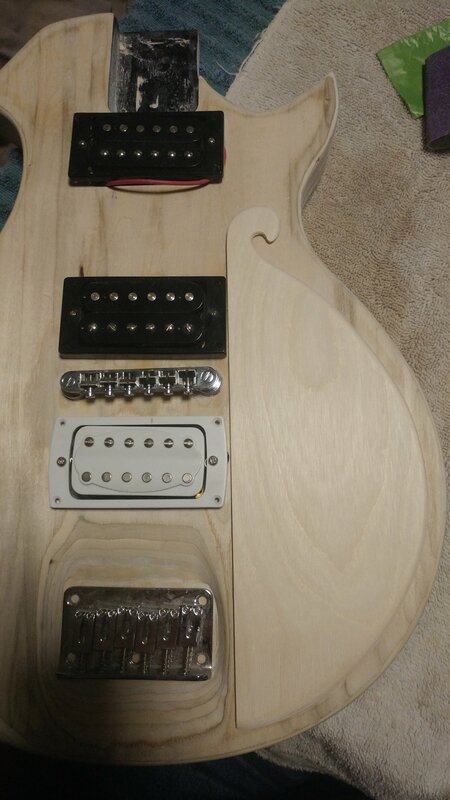 I built this guitar purposely to have access points on the front and back of the guitar. I did this so that I can easily change the wiring or electronics out with little to no hassle. If I want a totally different set up, all I have to do is make another pick guard, load it up, and drop it in. With each pick guard, I still have access from the back. This, with most guitars is generally the case but I wont have to remove strings, mess up and set up or take anything apart aside from connecting the pick ups . 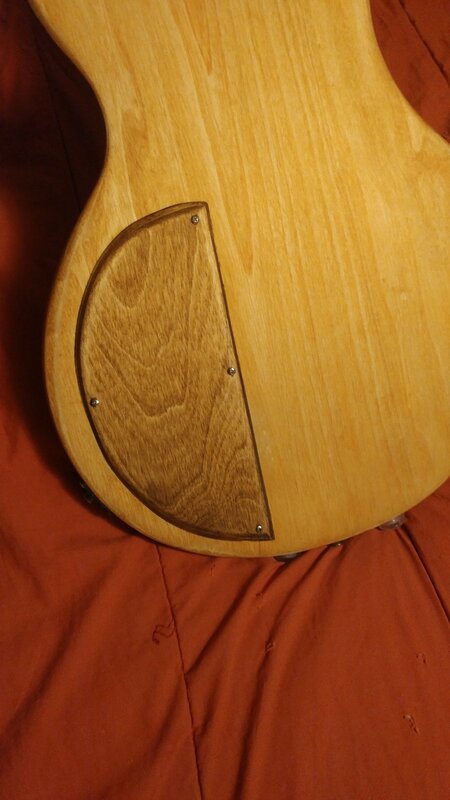 I also built put rubber bumper feet on the bottom and back of the head of the guitar. These act as a kind of stand and strongly stabilize it when leaning up against a wall or amp (this is bad practice I know but happens more often the I would like to admit.) 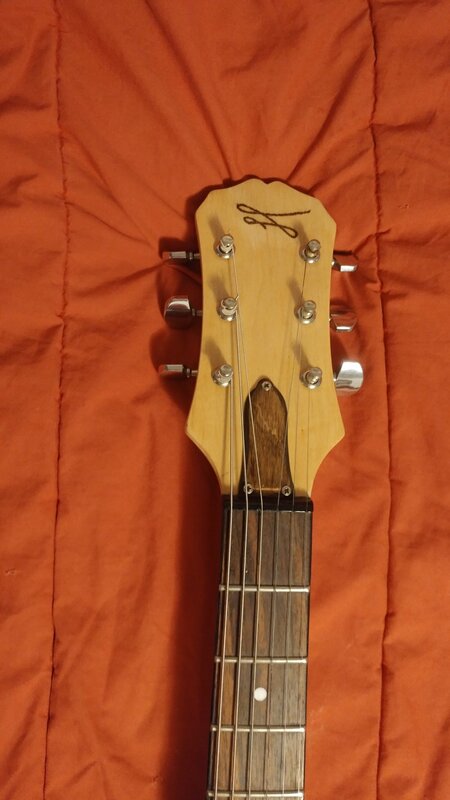 I also added a bottle opener to the back of the guitar. Both of these features might make the guitar a touch less "classy" but they are actually pretty great to have. As it stands, the electronics are wired to be both Series and Parallel. Each white capped toggle is dedicated to a pick up. 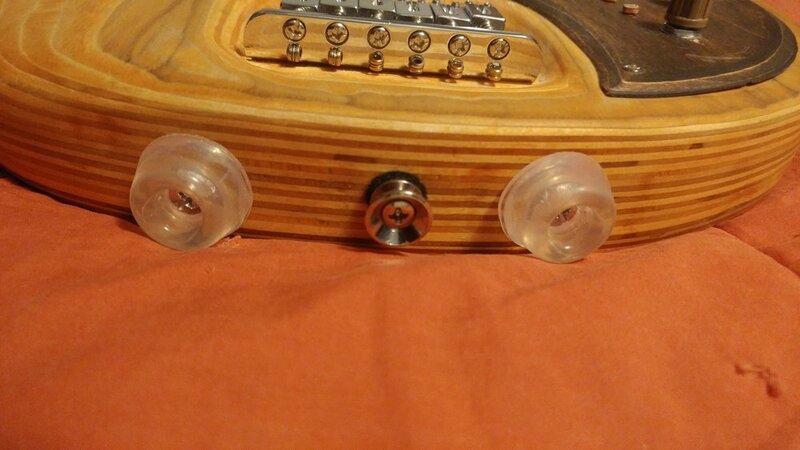 The guitar section has one Volume and 2 Tone knobs. The chrome toggles are dedicated to the extra electronics I have in there or any I will add. Currently, I have an Optical Theremin loaded into it. So one toggle will turn on the Theremin, it has 2 light detectors, one volume and a wave knob. The second chrome toggle takes the Theremin out of the guitar circuit in total. I did this because even when the Theremin, or other electronics, are turned off they will often create interference via volume or tone knobs. It also kills the batter to save any phantom power issues and further drain. It is not completely finished in that I am going to add a 4 set string tree and a few other touches but its good enough and ready for field testing.